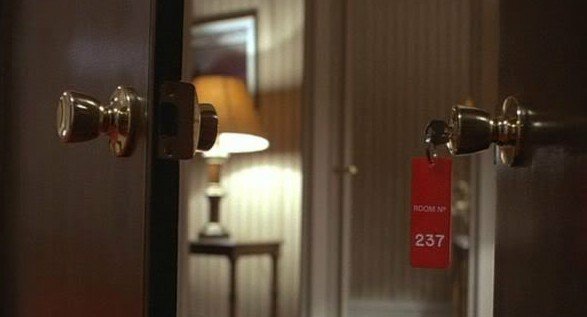 Room 237 is both an ode to the subversive nature of the movies and a fascinating insight into clashing obsessions in its most lurid form, even when its stylistic choices seek to destroy the experience. Room 237 is quite unlike any documentary I’ve seen before, and while that is absolutely an earnest compliment, it’s also to a degree a good thing that this film’s personality is a singularly unique one. To have its narrative style and aesthetic common place among non-fiction works would frankly be maddening, but if I suppose if you’re as die hard a fan of Stanley Kubrick’s seminal horror masterwork The Shining as those interviewed, such a feeling is quite fitting. That said, I was, ironically, possessed – forced to mull (obsessively so) – over how to critique this film; how to approach each ideal, the linkage between themes, the overarching nuances explored and most importantly how to fairly approach the passionate ramblings of some serious cinephiles. To judge each contributor on the validity of their personal perspectives is a pointless endeavour, not only because these obsessive fans are unwavering when it comes to their angle, but because the film approaches them in a way that if debunking were considered, it would quash the entire soul of the film. But I immediately digress, what is Room 237 even about, you may ask. I’ve already mentioned Kubrick’s The Shining and at its heart, this film is really about only that. Director Rodney Ascher collects five or so rabid admirers of the famed Stephen King adaptation and simply lets them loose to explain their various theories of the hidden themes behind the original film. The Holocaust, the massacre of the American Indians, the moon landing, repressed sexuality – it’s all there, naked for you to interpret as you will. The moon landing theory in particular – that Kubrick directed the famed footage and used hidden themes in The Shining to orchestrate his confession –is utterly ludicrous in more ways than one, the smallest of which isn’t that originally that whole theory stemmed from a 2002 mockumentary. And the fact that this individual repeatedly claims to have “proved” his ideal is grating to say the least. However, in a way it’s all a fascinating examination into the mind of a conspiracy nut, so in that way the film succeeds, but as to something greater hidden behind the façade of The Shining it’s, well, still engrossingly asinine. For me, it was the broader, uniting themes that proved the most provocative, such as a segment which focuses on how to approach the past and that, in fact, the past doesn’t exist, only the present. Similarly, when more than one of these interviewees latch on to something of importance (even though they believe the hidden meaning to be different, such as the number 237) it certainly makes you think. Kubrick was absolutely the type of director to include certain thematic elements towards a greater end. So when we hear one person who believes baking powder with the face of a Native American holds bearing and one who believes it’s the Tang containers, it all comes off as deliciously absurd. 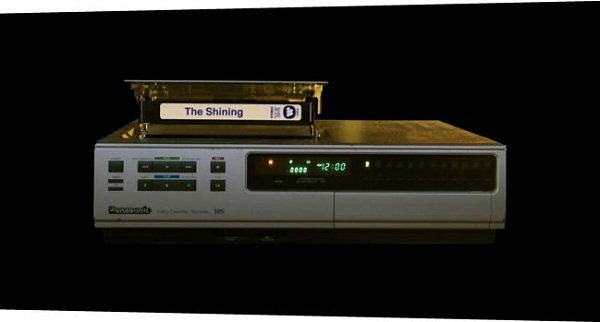 In spite of the utter uniqueness of Room 237 and its tweaking of the documentary format, the shortcomings are numerous and unavoidable. The most egregious of these stems from the mere stylistic choices by director Ascher. In addition to what become monotonous repeats of scenes from The Shining, the various hypotheses are visually represented with a genuinely odd collection of footage from other cinematic works. The editing is all very impressive but the choices made here do the film very little service. Ascher also makes the perplexing decision to never show his subject’s faces. Now, this may have been a subversive way of complimenting the supposed enigma that is The Shining but simply presenting these folks would have gone a long way to further establishing their unique identites. Not to mention that until they relapse into specifics of their individual doctrine, and not just gushing over the film, it was very difficult to distinguish between who was presenting which point at any given time. The favouring of specific arguments from a screen time perspective also seemed at odds with what Room 237 is trying to achieve. The purest geek-out moment for any fan of The Shining has to be near the climax where it’s revealed that an exclusive screening of the film was held which played both the regular version and one in reverse. Both of these versions were then superimposed and the resulting coincidences are just damn cool. From a “Hitler moustache” fade (bear with me) to mouths lining up with a television screen, it’s a very pure example of finding further entertainment in a film that has already provided so much. For fans as avid as those featured in this documentary (or even for those with a strong admiration or general interest in cinema), Room 237 is required viewing and best viewed, for that matter, bookended by the masterpiece itself.